Note: The group name misspelled on the label! I thought we’d take some time this week to take a stroll back through the magical pixie-delic forest of Curt Boettcher. You already know that I’m fascinated by all things Boettcher, finding his mastery of vocal harmonies and pop to be without equal. I had been on the hunt for a long time for a copy of the 45 you see before you today, and a few months ago, I thought I had. Until, that is, it arrived cracked quite cleanly in half, rendering it unplayable. So, I reset the search, and oddly enough another copy pretty much fell into my lap. The Millennium’s ‘Begin’ LP is one of those records that has – like the thousand petaled lotus, revealed itself to me gradually over the years. The first time I heard the Millennium, they seemed almost impossibly twee. I’m not sure what I was expecting, but it took me a while – even in the presence of a remarkable amount of brilliant pop hooks, to really get it, and even today I can slap on the headphones and still discover new and groovy things in their music. Such was the case when I recorded the 45 versions of ‘I JustWant To Be Your Friend’, and ‘It’s You’. 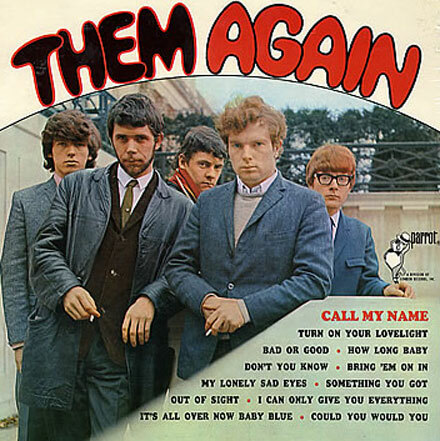 The versions on the 45 sounded slightly different than the ones on the LP, and as it turns out they were (are), with the lead guitar slightly higher in the mono mix. Subtle – to be sure – and in the end neither here nor there (unless you fuss over stuff like that, which I often do). One of the stories of ‘Begin’, is that it was one of the most expensive LPs recorded for Columbia (at the time), and when you really take the time to listen closely to the record, it is immediately obvious that not a penny of that money was wasted. 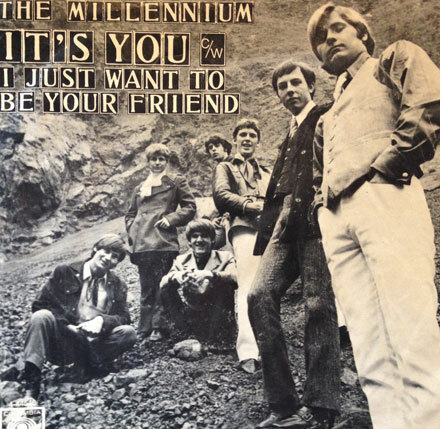 Though exploration of the group usually revolves around Boettcher, as close as sunshine pop has to a bona fide cult figure, a perusal of the writing credits reveals that the Millennium had what they call in baseball, a deep bench. Every member of the band contributed excellent songs to the LP, and they were as powerful – vocally and instrumentally – as anyone on the scene. Produced by Boettcher and former Music Machine bassist (and future super-producer) Keith Olsen, ‘Begin’ is a flowing tapestry of voices and melodies delivered with Beatles-level instrumental innovation. ‘I Just Want To Be Your Friend’ is a perfect example of how the music of the Millennium can be something of a Trojan horse. 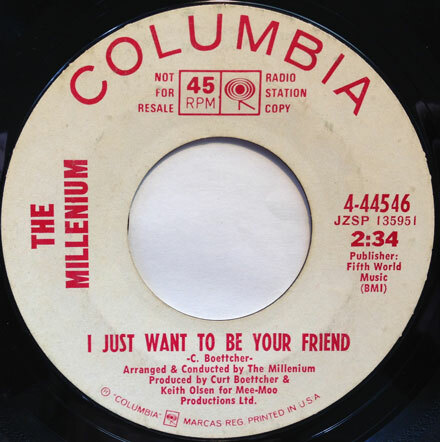 Written by Boettcher, and probably their most covered song, ‘I Just Want To Be Your Friend’ starts off light and breezy like something from a Claudine Longet album, but builds slowly and almost imperceptibly into something else entirely. At around 1:20, when Boettcher sings ‘Look into your eyes today..’ the band pretty much explodes into a psychedelic wave, led by dueling guitars, and then, less than a minute later, they all slide back into low gear. It’s at this point that I always find myself coming to the point where I feel the need to separate the Millennium from the sunshine pop pack. This was no throwaway, manufactured pop band dealing in other people’s hooks and singalong choruses. These guys were the real deal, and while I can’t imagine them (or any similarly complicated band of the period) duplicating much of this on stage, I would put ‘Begin’ up against anything that came out in 1968. If you haven’t got a copy, get yourself one and soak it in. Dig the sounds, and I’ll see you next week. It’s funny how time flies when you’re having fun. I can hardly believe that I’m forty episodes deep in this thing. This month there are some groovy new arrivals, a couple of recently reconsidered b-sides and a set of the Byrds. I have been in a pensive mood of late, thus filling my ears at every opportunity with the dreamiest mellowness that my collection has to offer. 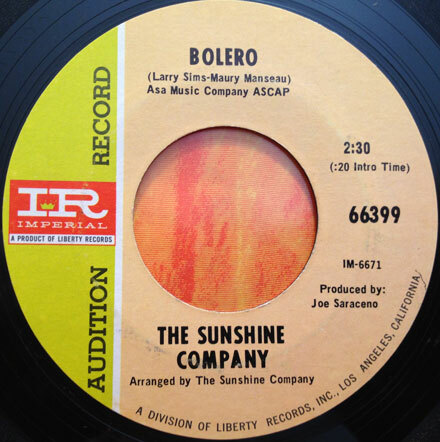 One of the discs that I keep returning to, over and over again is ‘Bolero’ by the Sunshine Company. I first got into the Sunshine Company while feeding my Curt Boettcher obsession. The group had recorded a couple of excellent covers of his songs (especially their take on ‘I Just Want To Be Your Friend’), so I started grabbing their albums whenever I found them. The groovy thing, is that in addition to the sounds I sought out specifically, I discovered that there was a lot to like about the Sunshine Company. As their name might imply, they dealt in bright, sunshiney, harmony pop – like the amazing ‘Love That’s Where It Is’ – but were hardly limited to those sounds. Forming in Orange County, California, the Sunshine Company – Maury Manseau, Larry Sims, Mary Nance and Merle Brigante – recorded three excellent albums for Imperial in 1968 and 1969. Though their records often included polished, edging up on ‘easy’ arrangements, they also included healthy doses of folk rock and even things that wouldn’t sound out of place on an early Jefferson Airplane LP. The tune I bring you today comes from their third LP ‘Sunshine and Shadows’. 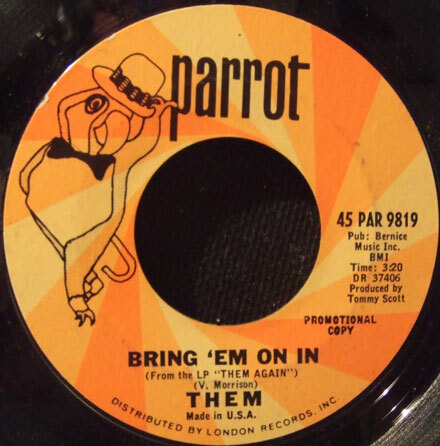 I grabbed this 45 while I was out digging, unheard, mainly because I dug the band, and I didn’t know the song. When I finally had a chance to listen to the 45 I was blown away by the mellow, trippy vibe. The guitar reminds me a lot of the sounds on Fleetwood Mac’s ‘Then Play On’ (which actually came out a year later). ‘Bolero’ is a beautiful song, with sublime guitar and bass interplay and rolling drums, making for a hypnotic blend that manages to be psychedelic without employing any of the clichéd signifiers of the genre. It’s one of those records that I can listen to repeatedly and never get tired of. As far as I can tell, none of the CD reissues of the Sunshine Company’s material are currently in print, so the best way to get their music is on the original vinyl.